Wimbledon 2015: Maria Sharapova beats CoCo Vandeweghe, Serena Williams defeats Victoria Azarenka, Garbine Muguruza defeats Timea Bacsinszky and Agnieszka Radwanska beats Madison Keys. 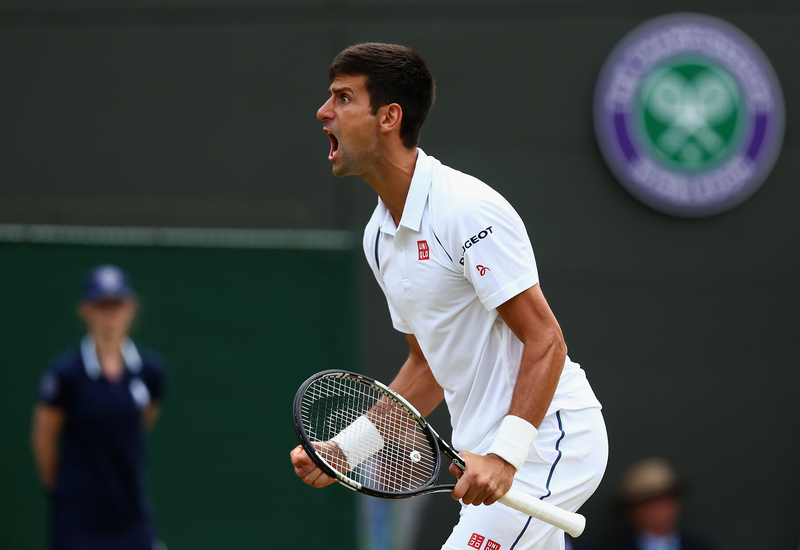 LONDON – Catch up on the news and results from Day 8 at Wimbledon, where the tournament's final four women were decided in the quarterfinal matchups and Novak Djokovic and Kevin Anderson resumed their match that was suspended for light on Monday. 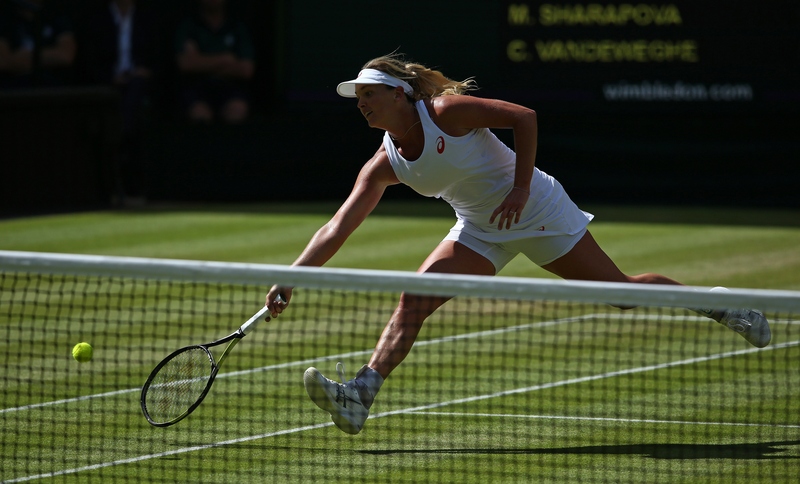 Maria Sharapova needs three sets to beat CoCo Vandeweghe: The unseeded American competed well in taking Sharapova to three sets but Sharapova found her best form of the tournament so far to win 6–3, 6–7, 6–2 to advance to just her second Wimbledon semifinal since 2006. 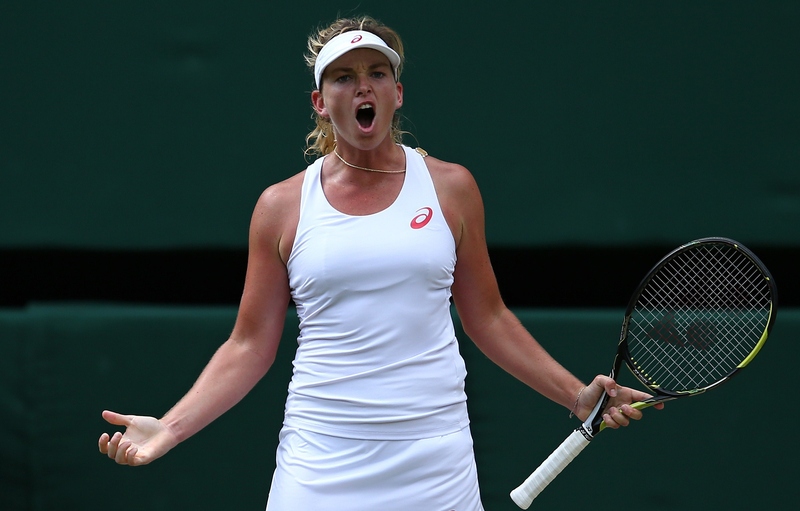 For Vandeweghe, she did well to embrace the occasion and wow the crowd with her unique brand of power. She broke Sharapova when the Russian served for the match at 5-4 and then played a strong tiebreaker to force the third. But she struggled to find that level through much of the final set and Sharapova quickly broke to get the lead she needed. 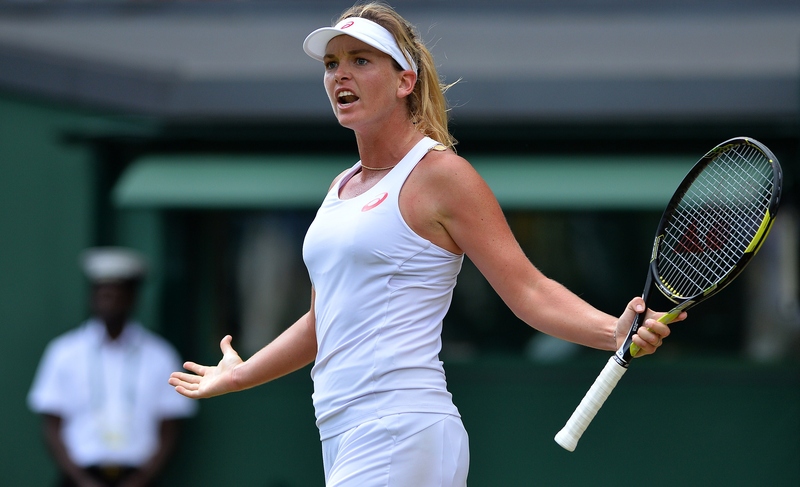 "I think the nerves were more just from being out there in general," Vandeweghe said. "I wasn't taken aback by her whatsoever from a game standpoint. It was actually a bit surprising how easily I handled her balls sometimes, from what you see on TV, then what you experience live in person." 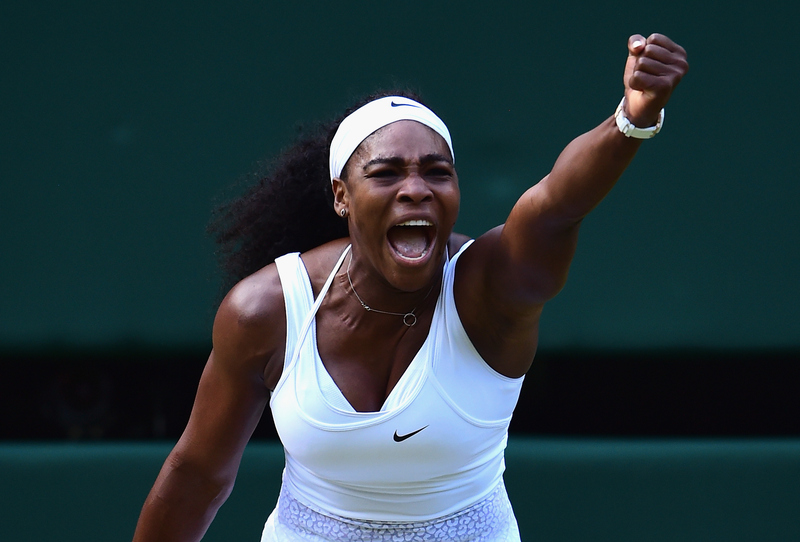 Serena rallies to beat Victoria Azarenka: Once again Azarenka stepped up and took it to Serena. 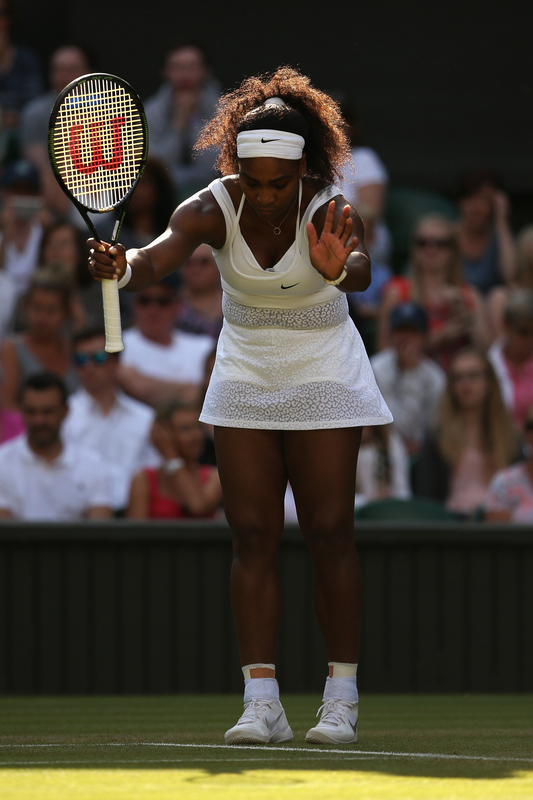 And once again, Serena found a way to elevate her game and sprint across the finish line. Azarenka played a perfect set of tennis to take the first set 6–3 before Serena came storming back to take the next two 6–2, 6–3 in what was the most competitive and, at times, most compelling and well-played match of the tournament. Serena fired 17 aces and hit 46 winners to just 12 unforced errors to book her spot in the semifinals, where she'll play Maria Sharapova. 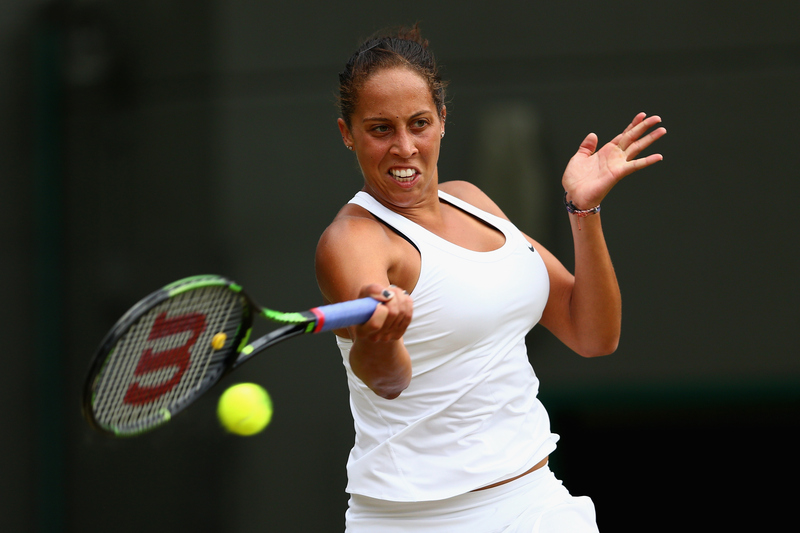 ​Madison Keys comes up short against Agnieszka Radwanska: Say this about Keys: She played far from her best tennis and was able to make her first Wimbledon quarterfinal and come within a few games of making her second Slam semifinal of the year. But she came up just short to No. 13 Radwanska, losing 7–6, 3–6, 6–3. "I'm definitely happy with how I've been doing so far this year," a disappointed Keys said after the match. "But making semis and quarters just makes you want it that much more. I mean, as happy as I am that I'm getting further and further in slams, you know, it's still you want more." Thanks to a good lead-up on grass, Radwanska came into Wimbledon far more confident than she has been over the first half of the season, but even she admitted she was surprised to make her third Wimbledon semifinal in four years. "I had a lot of good matches before Wimbledon, in Nottingham, especially Eastbourne, as well," Radwanska said. "I think I played good matches against top players. That is always helping. I think I will have a lot more confident after those weeks on the grass. Here we go." Garbine Muguruza surprises herself on grass to make her first Slam semifinal: It's refreshing to hear a player downplay all the talk about tradition and glory surrounding Wimbledon. For 22-year-old Muguruza, she just sees it as another Grand Slam. Growing up on clay and hard courts, she had no real connection to Wimbledon nor any pronounced desire to win it. 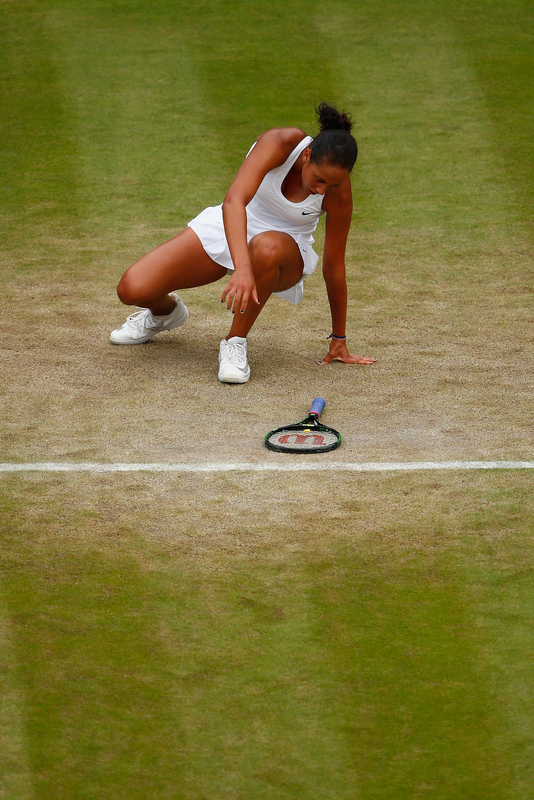 But armed with a game that is perfect for grass, she became the first Spanish woman since Arantxa Sanchez Vicario in 1997 to advance to the Wimbledon semifinals. "I'm surprised that my first semifinals is on grass," Muguruza said after her 7–5, 6–3 win over No. 15 Timea Bacsinszky. "But I think I'm playing really good. I think the surface helps me." So long as Muguruza focuses on bending her knees to get low through the ball, it does. She is into the semifinals after beating No. 5 Caroline Wozniacki, No. 10 Angelique Kerber and No. 15 Bacsinszky. Against Wozniacki and Bacsinszky she didn't drop a set. Next up for her is Radwanska. Novak Djokovic completes the comeback against Kevin Anderson: After their fourth round match was suspended after the fourth set due to darkness on Monday, Djokovic and Anderson resumed on Tuesday in a one-set shootout for a spot in the quarterfinals. 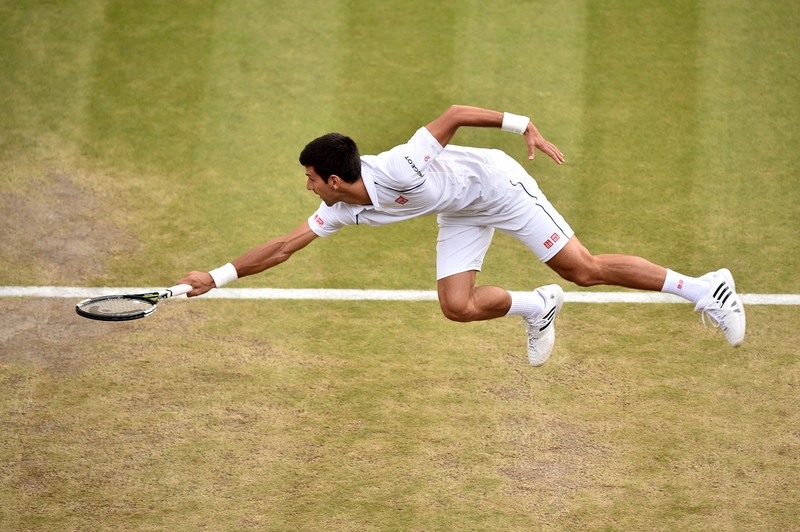 Djokovic won it 7-5 to complete a two-sets-to-love comeback. He said it was one of the toughest wins of his career. "It was a very difficult match, one of the most difficult in my Wimbledon career, that's for sure," a relieved Djokovic said. "I thought Kevin played exceptionally well throughout the entire match. Maybe he dropped his level a little bit in the third set. But other than that, he was serving very efficiently, very powerful serve. Also high percentage of first serves. It was very difficult for me to read because he has a same toss for every direction. So with that kind of serve and the aggressive groundstrokes, he's a very, very tough opponent on any surface, especially on grass." Men's quarterfinals are set for Wednesday: Are we headed for a "Big Four" semifinal set?